The PowerBlock Elite dumbbells are one of the best adjustable dumbbells on the market. They are the most compact and most user-friendly weights ever made, with quite a lot of attention to detail. With only 1 set of PowerBlock Elite dumbbells, you can get the value of more than 20 pairs of regular dumbbells for home use, essentially transforming the entirety of your home gym. I’m a huge dumbbell fan who appreciates a comfortable grip. And even though I’ve been very skeptical about adjustment dumbbells in the past I now understand the convenience in comparison to regular fixed models. Even though regular models can provide a slightly more comfortable grip, a solid pair of adjustment dumbbells can easily compete. The PowerClock Elite is perhaps one of the most carefully designed and a manufactured set of dumbbells, and reviewing it was quite a pleasure. Balance, compactness and a super comfortable grip. They are much easier and faster to adjust compared to other dumbbells that follow the same concept. The cage assists on easing off the grip and concentrating the tension in the muscle instead of the forearm. Stability and easy adjustment. They have a rubber-coated handle which provides a comfortable grip and the top bars are padded, which is an added bonus. You’ll get excellent control and stability on all movements. The plate sections won’t rattle or wobble, which is a huge improvement over other types of adjustable dumbbells. Simple and elegant mechanism for switching the weights. Perfect balance of weights switching speed, reliability and value. Solid quality structure and very secure. Efficient space handling and storage. Cost-effectiveness compared to the price you’ll have to pay for multiple individual sets of dumbbells. This add-on kit expands from 50 to 70lbs per hand. The 70lbs set replaces 22 pairs of dumbbells which is impressive considering that it is the first upgrade to the basic package. The set adds 6 additional increments to the 50lbs set and can later be expanded to 90lbs. This add-on kit expands from 70 to 90lbs per hand. The 90lbs set replaces 28 pairs of dumbbells which is an entire gym worth of weight training equipment. The set adds 6 additional increments to the 70lbs set and can later be expanded to 90lbs. 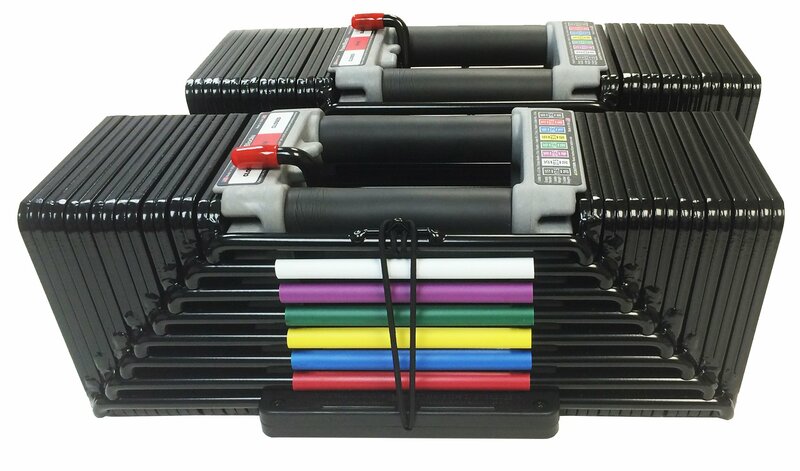 This set has a weight range of 5 to 50lbs per hand in increments of 2.5, 5, 7.5, 10, 15, 17.5, 20 25, 27.5, 30, 35, 37.5, 40, 45, 47.5, 50lbs per hand. It is later expandable to 70 and 90lbs per hand. The set replaces 16 pairs of dumbbells. 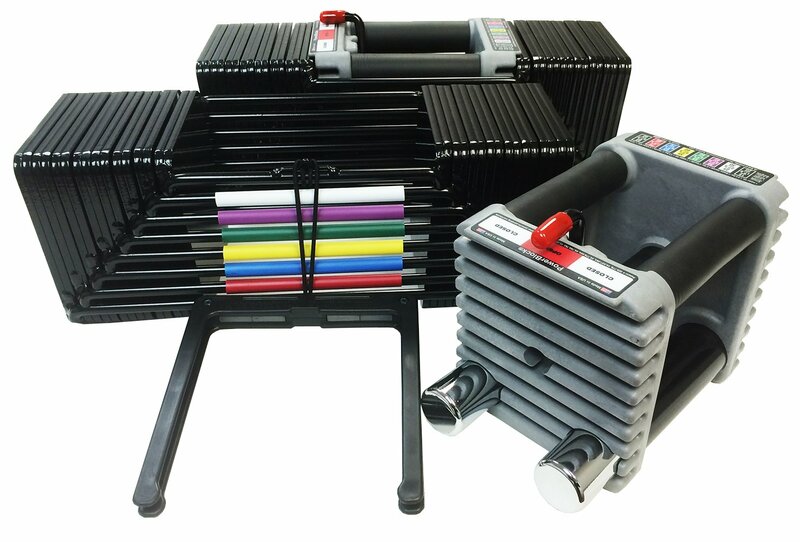 The bundle contains a pair of 50lbs Dumbbells (described above) and a large PowerBlock Column Stand. 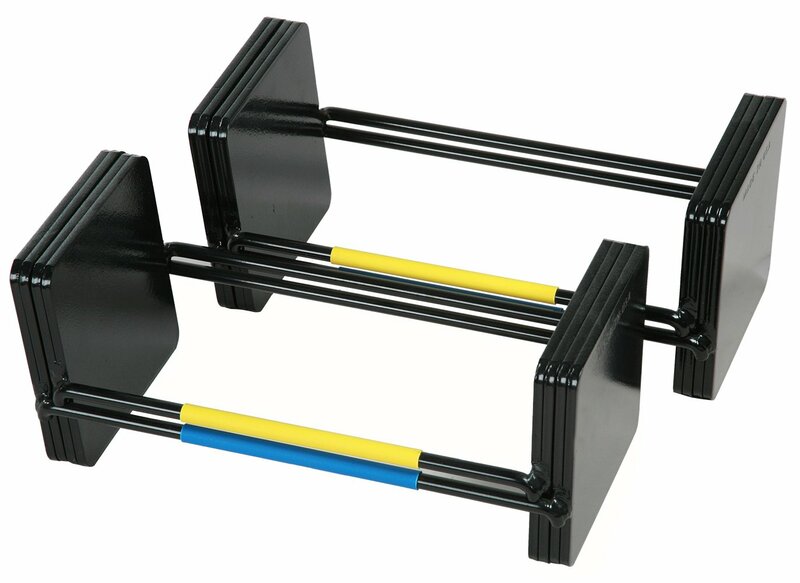 The stand can accommodate weights of up to 260lbs in total and measures 18x22x28 inches. It provides convenient and space-efficient storage solution. The Items, however, may be shipped and may arrive separately. This set has a weight range of 5 to 70lbs per hand. It can later be expended to 90lbs per hand. The set replaces 22 pairs of dumbbells or 1575lbs of free weights. Impressive! 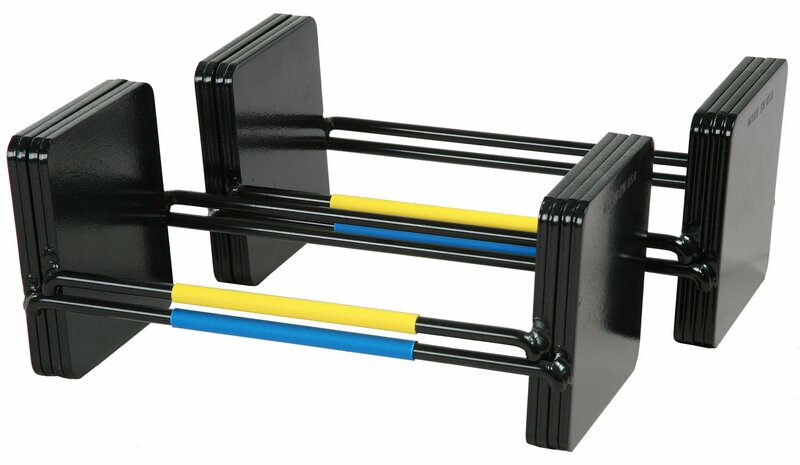 The bundle contains a pair of 50lbs Dumbbells (described above) and a large PowerBlock Column Stand. The stand can accommodate weights of up to 260lbs in total and measures 18x22x28 inches. It provides convenient and space-efficient storage solution. These items may be shipped and may arrive separately. 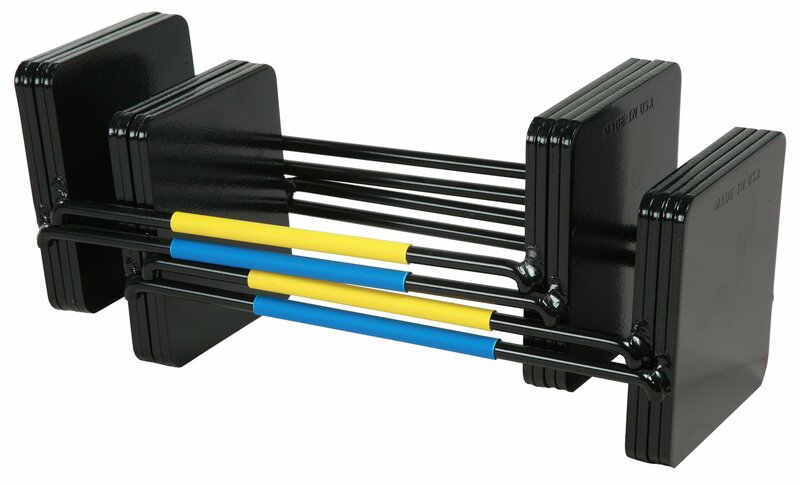 This set has a weight range of 5 to 90lbs per hand in increments of 2.5, 5, 7.5, 10,15, 17.5, 20 25, 27.5, 30, 35, 37.5, 40, 45, 47.5, 50, 55, 57.5, 60, 65, 67.5, 70, 75, 77.5, 80, 85, 87.5, 90 lbs per hand. The set replaces 28 pairs of dumbbells or 2565lbs of free weights. If you are in the market for an adjustable set of dumbbells, definitely consider this powerhouse. It is a piece of equipment unlike many others, and offers a solid mix between comfort, reliability, durability and price. The plates are very easy to add and subtract, and the weight adjustment will do wonders for your strength training progression, all the while keeping your home gym neat and clutter free. 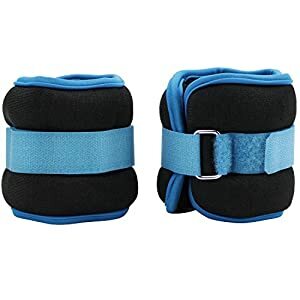 Looking for the most durable and most comfortable pair of ankle weights? 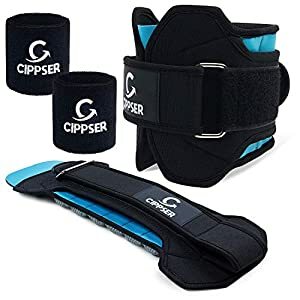 Look no further - the CIPPSER Premium Ankle Weights for Women & Men offer more than any other model. There is a library of 45 video exercises included as well. 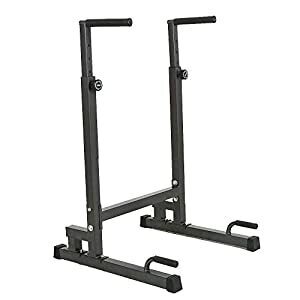 The CAP barbell power rack exercise stand is one of the most quality pieces of equipment for your home gym. 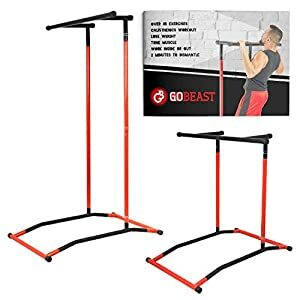 It features a built-in pull-up bar, more height adjustments than you can count, and offers unmatched stability, sturdiness and durability. The Reehut durable Ankle/Wrist Weights are one of the most stylish pieces of weight training equipment on the market. They are very nicely made, extra durable, and provide an excellent fit. If you make up your mind, be sure to act fast. 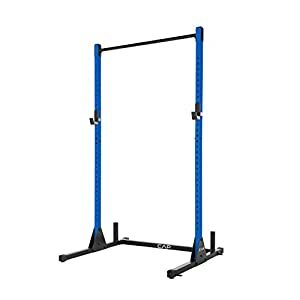 The Lucky Tree Adjustable Dip Station for strength training is one of the best pieces of home gym equipment for the money. You can work on your upper body like a pro, and double this workout station as a power rack too. 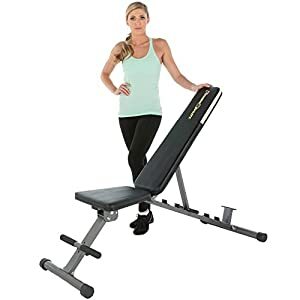 If you are looking for an adjustable bench that offers 12 backrest options and additional leg holder customization, the Fitness Reality 1000 Super Max Weight Bench is definitely worth considering. Stable, durable, and comfortable this bench has it all.